SPIRE, the high-rise tower shown to the right of the Space Needle in this artist rendering, is under construction in Seattle’s Belltown neighborhood. Prospective buyers are encouraged to visit SPIRE’s 5,000-square-foot sales center located at 2218 Fifth Ave. in Seattle. 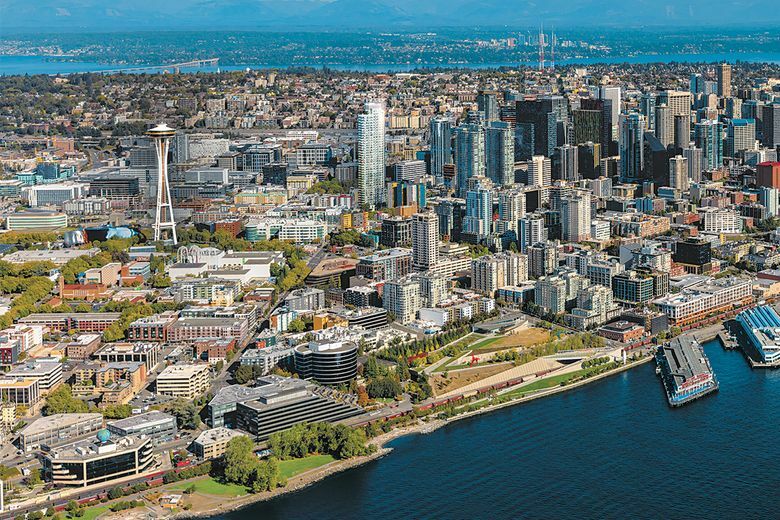 SEATTLE — The northern march of downtown Seattle’s skyline is in clear view, with a record number of new developments reshaping the Belltown and Denny Triangle neighborhoods. The area used to be known as Denny Hill, but was regraded between 1898 and 1930 to create what later became Seattle’s retail and apartment-house district. By 2020, Belltown will be crowned by a new landmark: SPIRE, a 337-unit, 440-foot high-rise condominium located on the northernmost lot in Belltown at 600 Wall St.
At the same time, the dramatically down-zoned neighborhood that surrounds the 74-acre site that is Seattle Center includes numerous open spaces and pedestrian pathways, including Denny Park, South Lake Union Park, the Olympic Sculpture Park and Myrtle Edwards Park, as well as the new multibillion-dollar waterfront renaissance and removal of the Alaskan Way Viaduct. SPIRE will include wraparound terraces that feature views of the city skyline, Lake Union, the Space Needle, Elliott Bay and the Olympic Mountains. Now under construction with occupancy slated for late 2020, SPIRE will offer one-, two-, three- and four-bedroom homes that vary in size from 531 to 2,635 square feet. Pricing ranges from below $600,000 to more than $4.5 million. Penthouse combinations are also being explored. More than 20 percent of the homes have already presold just weeks after SPIRE’s debut, Jones says. Inspired interiors were curated by award-winning designer Robin Chell Design. They boast voluminous ceiling heights from 9 to 10 feet, walls of glass, engineered hardwood flooring, Italian-designed Pedini cabinets, quartz countertops, Bosch or Miele appliances, gas cooking and Kohler plumbing fixtures. 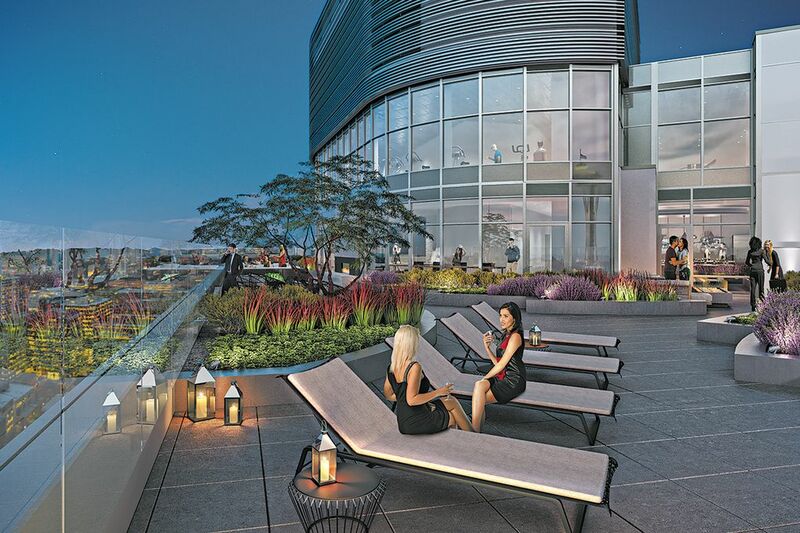 SPIRE’s robust amenities are equally impressive. First impressions will include a two-story lobby with concierge, adjacent café and lounge. The third floor includes a co-working lounge, conference room, Skype room, gaming room, theater and cardio studio for yoga and spin classes. Above it all is the SPIRE Club, a two-floor penthouse with a billiards bar, art gallery, exhibition kitchen, private dining area, fitness center and dog run. Wraparound terraces will feature views of the city skyline, Lake Union, the Space Needle, Elliott Bay and the Olympic Mountains. Prospective buyers are encouraged to visit SPIRE’s 5,000-square-foot sales center located at 2218 Fifth Ave. It includes a full-size model home, scale models, interactive exhibits and a design center. For those who act soon, there’s still an opportunity to choose between two designer color palettes as well as home-personalization options.